Spanning 15-plus years of chart-topping hits and fiery performances, pop diva Britney Spears showcases her signature style and energy in her highly-anticipated Las Vegas show, “Britney: Piece of Me” inside Planet Hollywood which opened December 27th 2013. This explosive new production is directed by arena show veteran Baz Halpin and will deliver Britney’s fans more then they ever imagined. Britney Spears has retained Braun Productions to design a one of kind set of animatronic wings that will open, and fly her down to the stage in what will be one hell of a dramatic flare for her hit song “Everytime”! 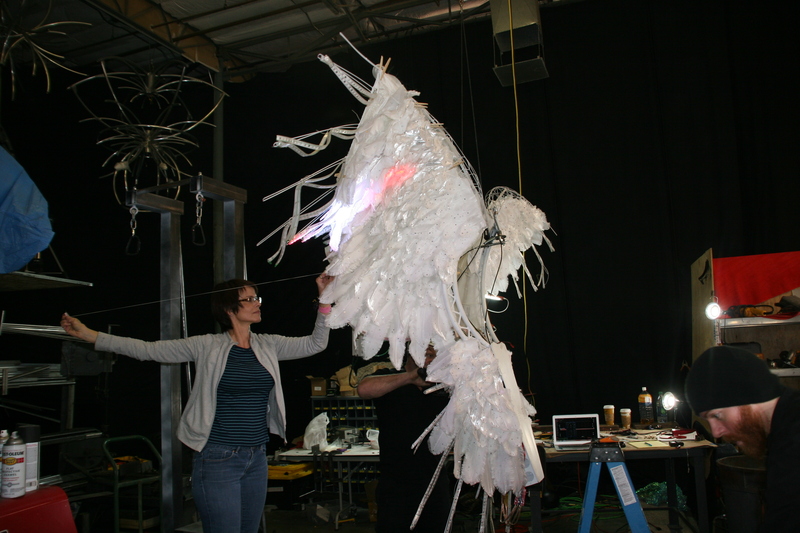 Making a pop diva superstar fly around the stage in a set magical animatronic wings that light up using thousands of LED’s, that contain no actual feather products, is wirelessly controlled from the light board all the while maintaining an angelic look and feel is no small task. That’s why Britney Spears hired Braun Productions. After the concept design was approved and finalized, construction began. 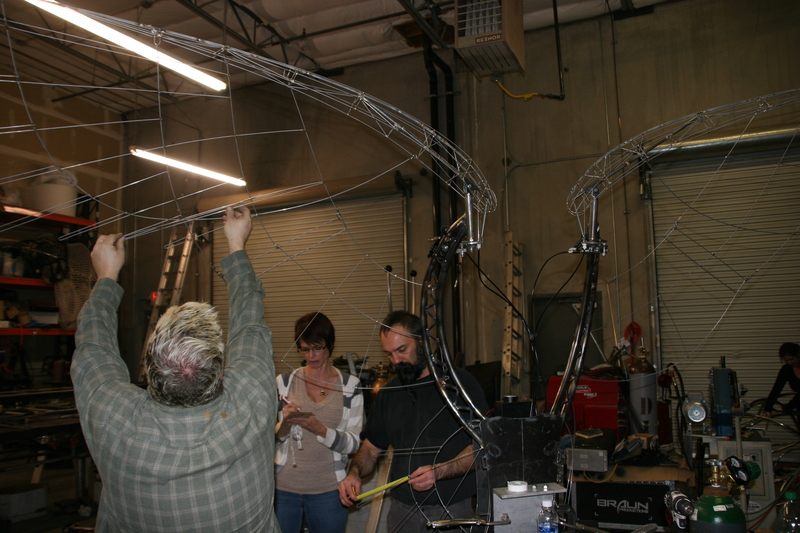 The build began with creating a super structure capable of supporting over 1,500 pounds. Even though the actual flying unit would weigh less then 400 pounds with Britney on it. 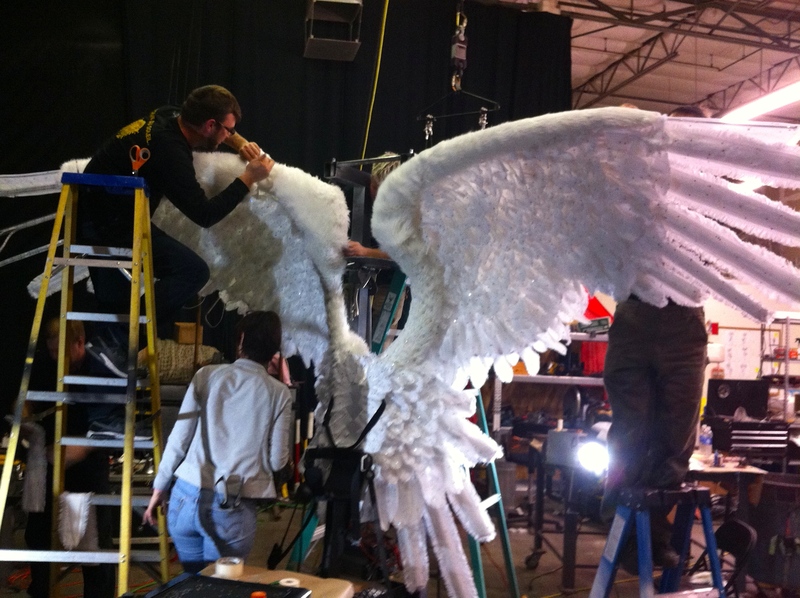 The illusion is that Britney is wearing the wings on her back. In reality the wings are carrying her. She sits on a special custom built hardness that completely supports her and securely holds her in place during flight. Britney had several very specific needs. One important item to her personally was that NO actually feathers or animal products of any kind were to be used in the making of her wings. 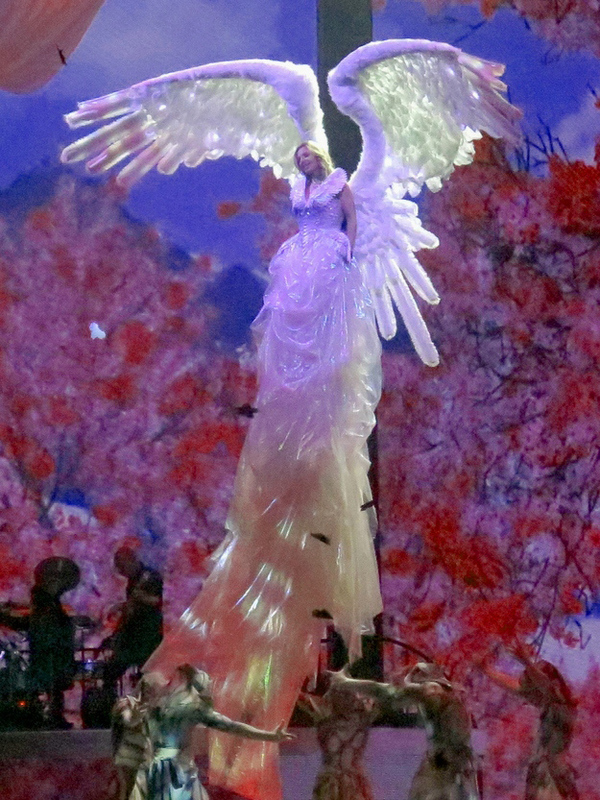 This required master designer Armando Farfan Jr. to create a new technique for fabricating special hand-made, one of kind feathers that would appear real on stage. Thousands of custom hand-made feathers would be needed to create the angelic look and feel Braun was tasked with delivering. 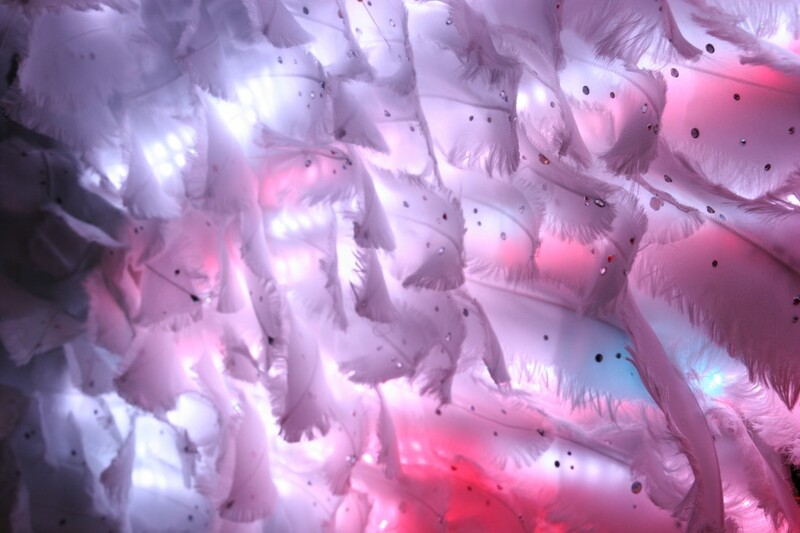 Each feather would be adorned with real Swarovski Crystals shipped in directly from Austria for Britney’s wings. 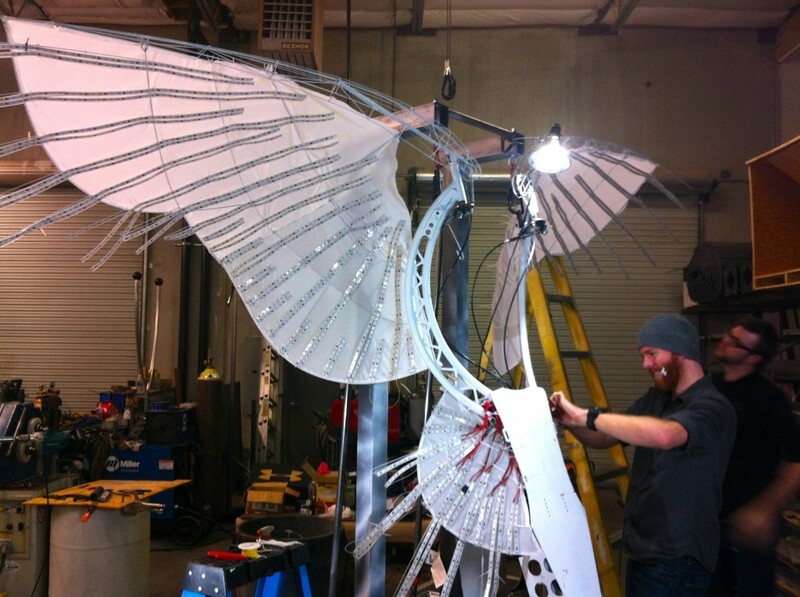 Once the custom feathers were in production, the work began on designing and installing over 6,000 LED’s that would light up the wings from the super structure underneath. These LED’s are high intensity being that they would need to shine through the feathers in order to achieve the desired effect in the massive 7,000 seat Plant Hollywood venue. Each LED is an individually controlled pixel capable of running low resolution video wirelessly. The custom made batteries are Lithium Iron Phosphate which are a high current, lightweight custom unit using the very latest technology giving an impressive output of 50 amps per hour. Our lead electrical designer Bill McGarvin, created an electrical system that not only operated the entire unit, but wirelessly controlled the inflight unit from the light board via ArtNet. 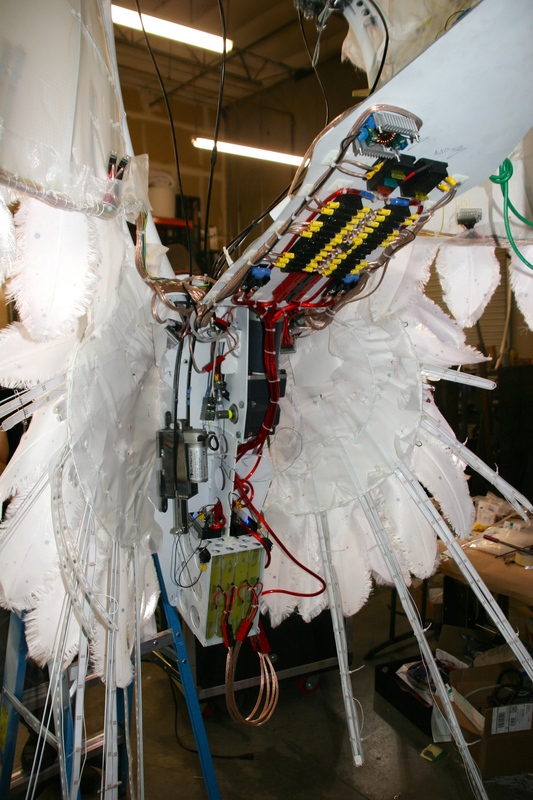 Special automation control is achieved using DMX relays which trigger a linear actuator that raises and lowers the wings in flight. A separate variable speed motor drives the bird like flapping of the wings which allows us to achieve a the over all angelic flying effect. Beginning Friday, Dec. 27, Britney performs her infectious dance hits, along with tracks from her eighth studio album. Fans of Britney’s music videos can rejoice: The Vegas headliner even brings back her most popular, iconic looks on stage. Celebrating the pop star’s massive success, “Britney: Piece of Me” couples a high-energy concert with a pulsating, nightclub feel. Planet Hollywood’s venue houses the world’s largest indoor projection theater and offers an explosive, theatrical experience. Show goers can relive their favorite Britney moments, all while dancing the night away. The award-winning superstar sold 100 million albums worldwide and garnered a string of hits including “…Baby One More Time,” “(You Drive Me) Crazy,” “Oops!…I Did It Again,” “I’m A Slave 4 U,” “Toxic,” and “Womanizer,” among others. Britney’s Las Vegas show is slated for a two-year residency, with the possibility of an extended run. This entry was posted on December 26, 2013 by Eric Braun.